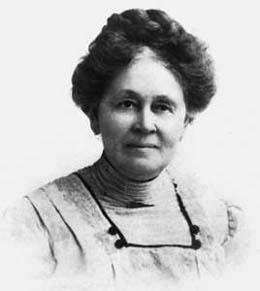 Emma Smith DeVoe was born on August 22, 1848, in Roseville Illinois. As a child she saw a speech made by Susan B. Anthony, which inspired her to become a suffragette when she was only eight years old. In 1880 she married John Henry DeVoe, who supported her throughout her life and aided her in her campaigns, which, in addition to women's suffrage, included reform, statehood, and temperance. Emma became an excellent public speaker over time and was mentored by Susan B. Anthony herself. DeVoe campaigned for a suffrage amendment in South Dakota in 1890. 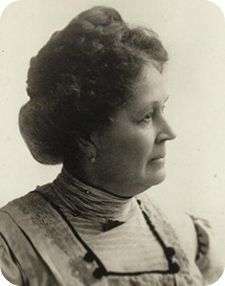 Due to her organizational skills and well-dressed appearance, in 1895 DeVoe was chosen to organize an official suffrage group in the state of Idaho. Her speeches centered on the idea that there were in fact peaceful solutions to international conflict and by winning the right to vote women would be able to help in this situation by passively bringing about changes. Women in Idaho received the right to vote in 1896 thanks to her kind but effective speechmaking skills. She eventually gave speeches and organized new suffrage groups in 28 states and territories. DeVoe was good at building coalitions with labor, men’s groups, and the Grange Associations. She ran polls to determine where voters stood on the issue of suffrage. She was responsible for implementing many high-profile strategies such as publishing cookbooks, organizing women’s days, and blanketing neighborhoods with posters. She would often begin her speeches with the statement, "There is nothing in the Constitution of the United States that should prevent women the right of franchise." The DeVoes moved to Tacoma, Washington in 1905, and a year later Emma Smith Devoe was made president of the Washington Equal Suffrage Association, taking over the revival of the movement. At this point she was extremely politically confident, and added new tactics such as penny posters, rallies, parades, publicity stunts, and different speeches to cater to the Washington campaign's needs, all while maintaining a very polite and womanly approach. In addition she published the Washington Women's Cook Book in 1908 in part as a fundraiser for the suffragist movement and also to demonstrate that gaining the right to vote would not change women's domestic role. The title page of the cookbook read: "Give us the vote and we will cook/ The better for a wide outlook." Reinforcing that women would not abandon their domestic duties upon gaining the right to vote, as was the fear of many men at the time, was a key strategy in Emma's campaign. These methods and her stance led to women winning the right to vote in 1910 by a 64% majority, making Washington the fifth state in the country to grant women's suffrage. On September 3, 1927, Emma Smith DeVoe died aged 79. She was elected to the National Women's Hall of Fame in the year 2000. ↑ Jepsen, David. "Emma Smith DeVoe: The Suffragist Who Wouldn't Back Down." Washington State Historical Society. 2007-2009. Washington State Historical Society. Retrieved 15 June 2011. ↑ Unknown Author. "Emma Smith Devoe, Washington Suffragist (1848-1927)." Women of the West Museum. Autry National Center. 2011. Associated institution. Retrieved 15 June 2011. ↑ Unknown Author. "Emma Smith DeVoe." National Women's Hall of Fame. Retrieved 15 June 2011. ↑ Arksey, Laura. "DeVoe, Emma Smith (1848-1927)." HistoryLink.org. 2005. Washington State Department of Archeology and Historic Preservation. Retrieved 15 June 2011.